The Abbey is a neighbourhood restaurant based in the heart of the glorious city of St Albans, Hertfordshire. We use only the best locally sourced produce to create our modern interpretation of classic seasonal dishes. 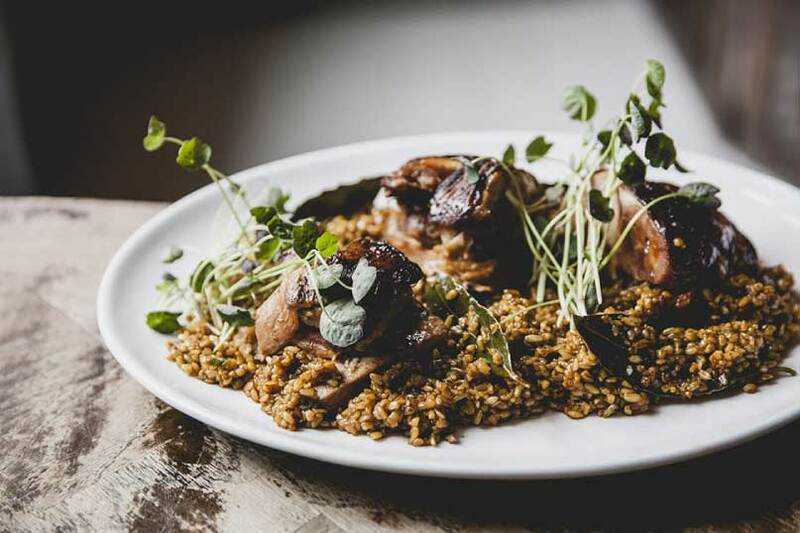 The Abbey offers simple, seasonal and sustainable cuisine. Located on George Street, a short walk away from the famous St Albans Cathedral, this restaurant is reminiscent of old world designs where you can enjoy a beautifully curated menu and hospitable service. We have a stunning conservatory dining room, a warm private room with rustic fireplace, and a gorgeous lounge area with comfy armchairs to sink into whilst being served amazing wines from all over the world or indulgent seasonal cocktails. Our kitchen team creates delicious meals with fresh farm-to-table produce. The Abbey is a hybrid creation using international flavours to create a bespoke à la carte menu with every care taken to ensure sustainability and to promote local produce. Open 7 days a week, our restaurant serves fresh, honest food, sourcing only the best produce from the Hertfordshire region.